Heel Height: Approx. 5'' Tall. Patent upper in a dress pump style with a pointed toe. Scooped vamp. Adjustable ankle strap ensures a great fit. Smooth lining, cushioning insole. Traction outsole. Everyone better watch out when the Seduce pump is on the prowl. Its smooth and shiny upper is accentuated by a stunningly curvaceous silhouette, and its tall heel and pointed toe have the attitude to hold the entire room's attention. 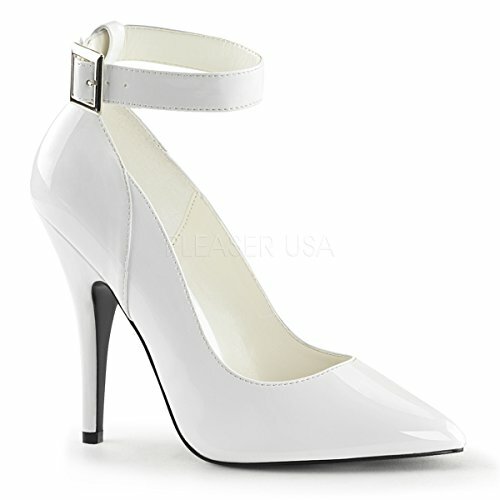 -1 This pretty classic pump has a 5 inch heel and ankle strap that will go with day and evening looks. 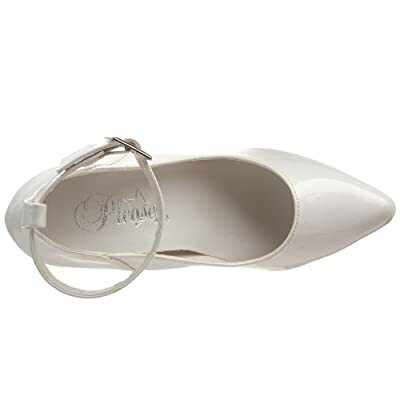 This pretty, classic pump has a 5 inch heel and ankle strap that will go with day and evening looks.